"There’s a thin line dividing us, and it involves the fact that he has more hair than I do." Actor Bob Balaban has appeared in director Wes Anderson’s The Grand Budapest Hotel and Moonrise Kingdom. 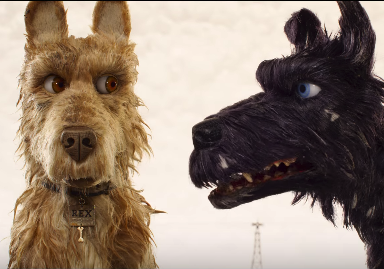 In the delightful and exquisite Isle of Dogs, he plays King, a former dog food commercial star who is now in exile on an island of garbage. Matthew Lickona: Let’s talk about King. Who is this dog? Bob Balaban: My approach to playing the part of the dog King was: King, basically, is Bob. There’s a thin line dividing us, and it involves the fact that he has more hair than I do. King is a working dog, like me. King is a spokesperson; I actually used to act in a lot of commercials and I actually direct them now. So King has a job, but it’s not an elevated job. He just has an interesting job for a dog to have, and I liken that to my life too. He knows he does a good job and he does it well, but he’s not stuck on himself, and I like that. ML: Was the similarity intentional? Was King based on you? BB: No, it just worked out that way. I was lucky, because some of the dogs — Edward Norton, Bill Murray, Bryan Cranston, and myself — were all in New York at the same time, and we got to record together. We did a fair amount of growling and barking and vocalizing in a doggy way, but when we were recording, none of us tried to make a special dog voice. I think we knew we were there to bring ourselves as much as possible to the dogs. 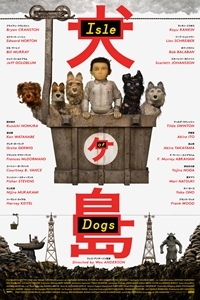 And when I saw the film, I really got the sense that we were hearing essence of dog. We weren’t hearing people trying to be like dogs. ML: Sort of reverse anthropomorphization? BB: Yes. It’s coming by a fully realized dog through unusual means — not saying that dogs are like people, but saying that if you could vocalize with English what a dog is feeling, it would sound pretty much like we’re talking in the movie. And because we weren’t trying to “animalize” our sound, I think our voices sort of disappear. You start thinking that the creatures on the screen are actually doing the talking. At least, I did. ML: You’ve worked with a pretty amazing range of directors, from Robert Altman to Steven Spielberg to Christopher Guest to Mike Nichols to Wes Anderson. And that’s just a few. Could you do a little comparing and contrasting, especially with regard to Mr. Anderson? BB: The directors I define as great — and they weren’t always famous — have something in common: they know what they want and they are able to get it. Whether they do it quietly, or by setting up an atmosphere that you can’t avoid, or however. Wes is different in that while the films are obviously highly stanced and there’s great filmmaking going on, you start feeling like you’re in some great high-school science nerd’s project. It’s the oddest feeling. There’s something compelling about the spell that he casts; it’s very potent. There’s nothing you have to think about other than where you are; you’re in the complete service of a very particular kind of magician. ML: Science and magic, together at last. BB: It’s very yin and yang; he has his stamp all over everything, but it’s not intrusive. I’ve never worked with anybody who is more meticulous about every aspect of the frame while also being wonderful for acting. You would think that being in frames that are that organized would take all of the creativity out of you. And yet it’s the opposite: there’s great freedom when you’re with Wes. I think a lot of actors are like wild animals: you have to think of mustangs. And when you’re with somebody who is ruling you with a kind but very firm grasp, you just give in right away. You thrive in an atmosphere where you’re being really cared for. ML: There’s a quote on your IMDb page about how, when you’re directing and you’re nervous, you tell yourself, “You’re an actor. Act like a director.” How do you act to get what you want? BB: I worked with Sidney Lumet in a film I loved called Prince of the City, and then I apprenticed myself to him. He let me hang around on a set for pre-production, production, and post-production, and a lot of meetings. What he always said was, “Your job as a director is, you only need to get the performance out of somebody. It doesn’t matter how you do it.” If somebody doesn’t want you to speak to them and they need to be left alone to do their best work, then you do that. If somebody needs to be treated like an enemy in order to play an enemy, then you do that. Though I do think it should done as kindly as possible. Occasionally, you’ll get a great director who thinks it’s their job to eradicate your own actual personality so that you’re quivering Jello, and then he can mold you into what he wants you to be. But I’m not in that school; nor could I act that part very well. ML: Given the ancient animosity between cat people and dog people in the film, I’m compelled to ask: are you a dog person or a cat person? BB: I will rush to say that I believe that cats are just as wonderful as dogs, but I happen to have had more dogs in my life. I have one child who is a cat person and one who is a dog person, and I must say that my cat daughter is very open and is trying to learn to love dogs, while my dog daughter really can’t move herself to get too interested in cats. April 24, 2018 @ 1:39 p.m.
Bob Balaban. isn't he the pimply-faced, bespectacled nerd that got to give Jon Voight [email protected] in "Midnight cowboy"?? ?